Lately I have been OBSESSED with this flavor! I don’t know what it is, but I keep inventing ways to recreate it. I keep buying orange flavored supplements,orange juices, oranges, orange everything, just so I know I will be able to use them to make an Orange Creamsicle smoothie LOL. Today’s recipe is just one of the many I have created and one of my favorite because its a Green Smoothie and who doesn’t loves to drink their greens?! It’s also a quick and easy way to make a healthy snack. I often find that post-workout snacks are so essential for me because its hard to get in the kitchen and prepare a healthy meal right after I’ve returned from the gym or a workout. I always try and squeeze my workouts in before school and inevitably I sleep just as long as I can….maybe too long….and then I’m rushing to get my work out in, rushing to shower, rushing to eat, rushing, rushing, rushing! It’s terrible. It’s so essential to replenish your bodies stores within the first hour after a workout. I find these smoothies tide me over and give me enough extra time to splash some water on my face and wash the funk off. This leaves me with just enough time to prepare an adequate meal before running out the door, chicken breast hanging from my lip. Add the ice a little at a time while blending to find the right consistency. 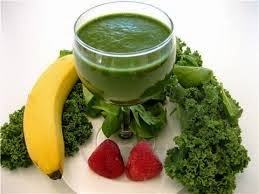 If you decide to go with kale for your smoothie make sure you blend a little bit longer…unless you like chewing your smoothie. PreviousI’d Rather be Training Hills!